Hundreds of protesters gathered at the Sintagma square in Athens to protest against the adoption of the Prespa Agreement, which was already adopted by the Macedonian Parliament and is now to be adopted by the Greek Parliament. 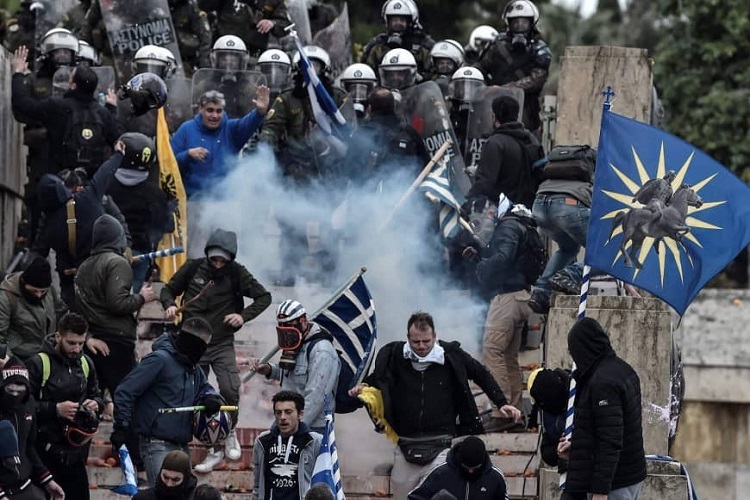 The protests started peacefully, but then turned violent as several protesters attempted to approach the building of the Greek Parliament, clashing with the police on the way. The total aftermath of the protest is 7 people arrested and over 40 injured. The Greek PM Alexis Tsipras called upon the citizens to withstand from actions of violence, and accused the opposition leader Kyriakos Mitsotakis for manipulating the public in relation to the Prespa Agreement. In meantime, as it was previously announced by the Greek Government, the full content of the Prespa Agreement was published in several daily Greek newspapers, like Real News, Avgi, Ethnos, To Vima, Protho Thema etc. The Speaker of the Greek Parliament Nikos Voutsis announced during the weekend that the process for adoption of the Prespa Agreement will commence next week. The draft-law for the ratification of the agreement has also been delivered to the Greek Parliament. 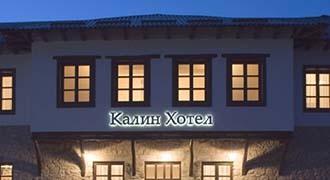 It is signed by the Greek PM Alexis Tsipras, and it contains three articles, of which the first will focus on the adoption of the Prespa Agreement in whole, the second focuses on the upgrading of the diplomatic mission of Greece in Skopje to the level of embassy and opening of a consul office in Bitola, while the third focuses on the publication of the law in the Official Gazette of Greece.